I have spent the last couple of weekends building this picnic table with Oliver. It has very straight forward construction and was pretty fun and easy to make in spurts. 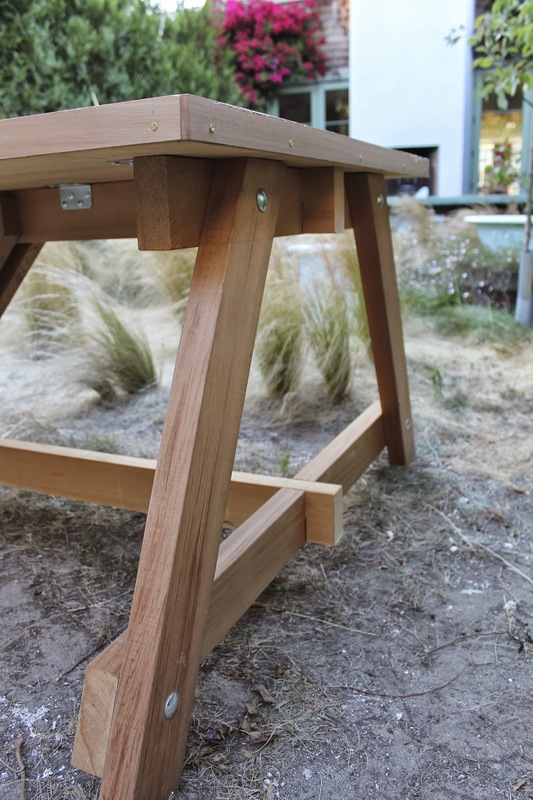 Aside from the long rails that connect the two triangle end-pieces, the entire thing is held together with bolts and doesn't require much meticulous woodworking. 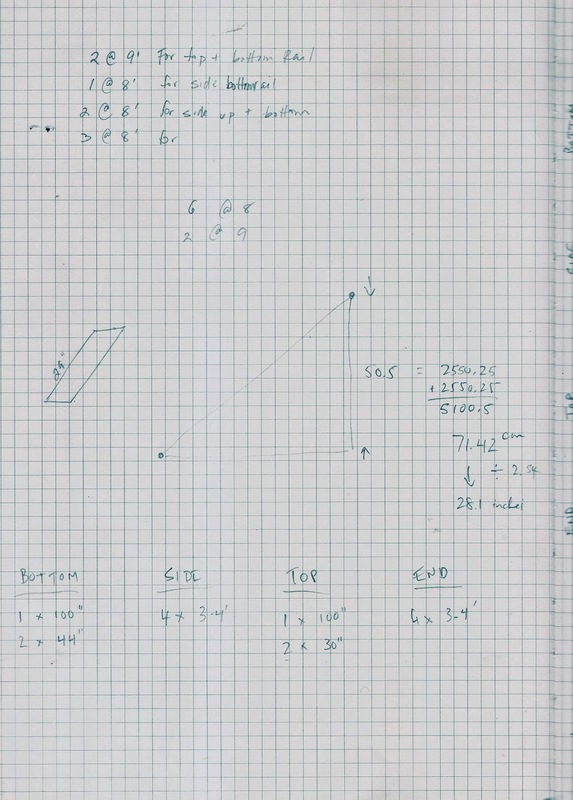 We began the process by making a simple sketch of the construction method and wood dimensions. We decided to build with dried cedar 2x4 stock. Using dried wood is important so that the table doesn't warp and move as the wood dries over time. Cedar is more naturally resistant to water too so is good for outdoor applications and isn't as expensive as teak or ipe, which are more dense woods so are much tougher on tools and harder to hand-cut (but are more water resistant). We bought two 9 footers and six 8 footers for about 280$. We bought everything at Beronio Lumber in the city, which is an awesome source for all specialty wood products and has the most friendly staff, which is always a big bonus in my book. (Not a sponsor, btw). The first step in the construction was to build the two ends. All these angles correspond -set the cross cut saw to 26 degrees and make all cuts at once. Find the centers of the intersecting pieces to drill for the bolt. The simplest way to find the center of any dimension (even if not square) is to draw an intersecting line from corner to corner -this method requires zero calculations and measurement, just make an X ! We have a drill press but this could be done carefully with a hand drill. Use a 9/16th bit for a 1/2" bolt and use a piece of scrap under the finish piece to avoid blowout on the underside. Buy bolts that closely fit the thickness of your wood stock for a nice, clean look. I used a deck bolt for corrosion resistance. Once the two ends are cut to dimension it is time to cut the half lap intersecting joints for the rails that join the two together. This is the joint assembled and is much easier than it looks. Because I don't own a table saw, I cut these by hand. This could be done very precisely by crosscutting at the correct height with a dado blade if you did own a table saw. I made my cuts with a japanese crosscut handsaw. 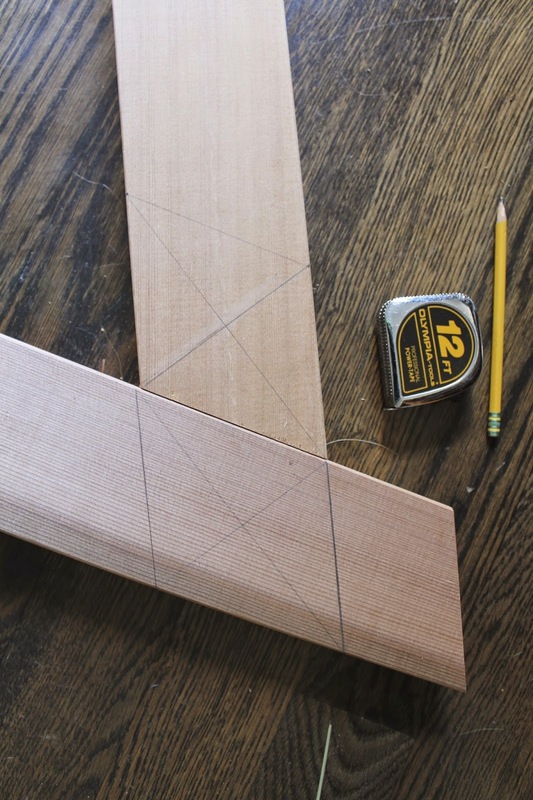 Make these joints on the four corresponding pieces (8 cuts/joints in all). Once I've made the parallel cuts, I chopped out the center with a sharp chisel and mallet. Be as precise as possible but this part of the joint is hidden (and in this case the joint is adding almost no structural strength so it needn't be perfect). Alternate with downward and sideways cuts. In order to have a clean looking joint on both sides, work the joint from the other side once hitting the midpoint to avoid blowout. The two long rails that join the two end pieces get their strength from the double support rails connecting them (this is called triangulation). These support pieces are exact right triangles -so 45 degrees for the top and bottom trim cuts. To avoid having to make a lot of precise measurements to make the right triangle for the support rails, we used these steps. Find the center of both long rails and mark. Remove the bottom rail. On the lower rail, measure out from the center (in our case 2 1/2")mark and drill bolt holes. Replace bottom rail to end pieces. Loosely bolt bottom rails and clamp to top rail at a 45 degree angle. Use a pencil to trace the hole location on the top rail. Remove top rail and drill, then assemble. We assembled all the pieces inside to insure we were flat and square. 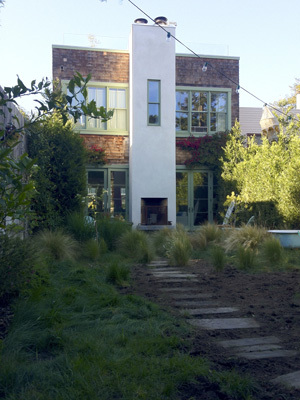 I am making the top out of concrete which will be part two of this post. I used a 96"x36" piece of 1" plywood (pretty crappy grade) for the core and used Simpson Strong-Tie A23 brackets to attach the top. I used 10 total in order to insure that the top is really synched to the base to avoid warpage which could cause the concrete to crack. (I also attached a band of cedar trim around the ply as you can see in some of these pictures which will also be in part two). Sneak peak at top which has been poured but not polished and sealed. What do you think, would you try this project instead of buying? 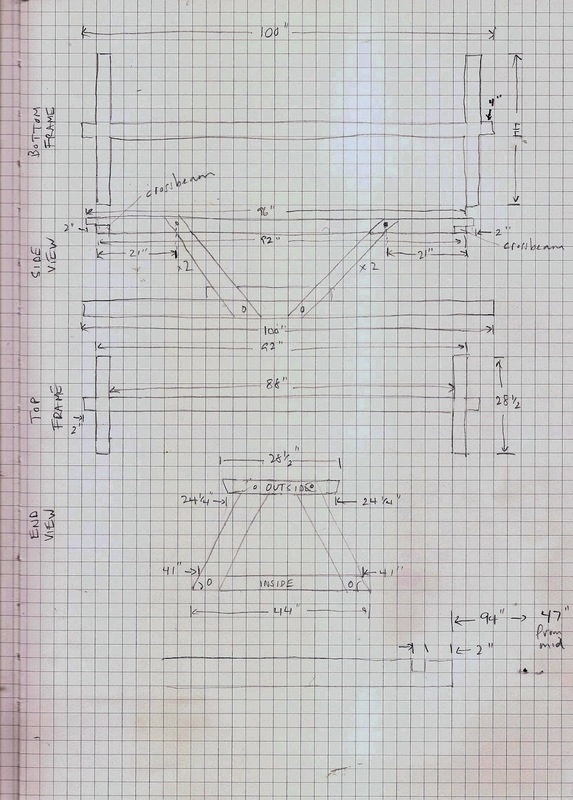 I am about to make a picnic table with my dad for the condo-cottage and i might make this! you just hand delivered me plans!!! How awesome is that!!! Great post!! This wooden table is looking so nice. I want to make one table like this. Thanks a lot for sharing. Love the length of it ! This is one good looking table ! Very easy to make, you'll be surprised.